In a recent move, the Government of India has revised the criteria for qualification, appointment and removal of chairpersons, presidents and members of 19 tribunals, appellate tribunals, commissions and boards. The revisions were done invoking provisions of the Finance Act, 2017 (Sections 183 and 184), which empowers the government to develop Rules on these aspects. There is a general feeling within the environmental community that this has been done to clip the wings of the National Green Tribunal (NGT), the quasi-judicial body looking into various environmental violations and disputes. A significant aspect of the new Rules is that they have paved the way for experts and administrators to occupy the position of the chairperson of NGT. The NGT Act, 2010 and the Rules framed under it had specified that only someone who has been either a judge of the Supreme Court or the Chief Justice of a High Court can be appointed as chairperson. The new Rules broaden the eligibility criteria significantly. Now, a person who has been a judicial or expert member of the NGT for three years, or anyone with 'ability, integrity, standing and special knowledge of, and professional experience of not less than twenty-five years in law including five years’ practical experience in the field of environment and forests' will also be eligible for the chairperson’s position. The government’s new criteria ensure the bureaucracy will have a bigger say in selecting the chairperson and expert member. The five-member committee tasked with selecting the chairperson and the judicial members will now include two secretaries of the Indian government (instead of one as was the case until now). The judiciary will have no role in the selection of expert members. Also, the Centre will now have more control on removal of any NGT member. As per the new provisions, the government will only seek inputs from a committee constituted by it on this matter, as opposed to consulting the Chief Justice of India, as per the NGT Act. This development brings to the fore a long-standing tension between the Central government and the NGT. The government had constituted the NGT in 2010 to deliberate on environmental matters effectively and quickly. The NGT Act provides the tribunal jurisdiction over all civil cases which raise substantive questions relating to environment arising from implementation of seven key environmental laws. The tribunal also has appellate jurisdiction which allows an aggrieved person to appear before the body challenging a regulatory approval granted (or rejected) by the concerned government authority. In addition, NGT has expanded its own jurisdiction and included within its ambit the power of judicial review and suo moto action. These jurisdictions have made the tribunal a very powerful institution, and have brought it on a collision course with the government. One of the first incidents of the uneasy alliance between the two took place in 2013. For a month-and-a-half, no counsel on behalf of the Ministry of Environment, Forest and Climate Change (MoEF&CC) appeared before the NGT during hearings in which the ministry was a party. Observing so, the NGT fined a few officials from the ministry. It also went to the extent of cautioning the secretary of MoEF&CC that he would be compelled to pay heavy costs for cases adjourned without any justification. The ministry, in its turn, took offence at this ‘heavy handedness’ and argued that the NGT was overstepping its jurisdiction. In an affidavit filed before the Supreme Court in 2013, the then deputy secretary of the ministry went as far as calling NGT’s conduct an “embarrassment” for the government. Later, the ministry withdrew this affidavit. With the NDA government taking office in 2014, the unease has remained the same, if not aggravated. The MoEF&CC has persistently argued that the NGT is overstepping its jurisdiction by challenging subordinate legislations and interfering in administrative issues of the government. The NGT has retaliated by warning the ministry against taking it “lightly”. In this tug of war, what has suffered is the resolution of environmental issues. A significant proportion of cases filed in NGT deals with the decisions taken by the environment ministry; these include cases related to environmental clearance (EC) or non/poor implementation of policies/regulations. There is a clear game of one-upmanship being played in these cases. The lack of coordination between the environment ministry or other regulatory authorities and the NGT has meant that many of the tribunal’s orders are leading to actions that are patchy at best. To illustrate this, let us consider the case of illegal construction by various developers without the necessary EC and permits. In the past three years, a number of cases have come before the NGT in this regard, including the case of S.P. Muthuraman vs. Union of India (2015), which involved unauthorised construction by seven developers in Tamil Nadu. In July 2015, the principal bench of the NGT imposed a total fine of about Rs 76 crores on them. The developers were observed to be carrying on their activities on the basis of ex-post facto ECs which was made possible through two office memorandums (OM) of the MoEF&CC; these were dated December 12, 2012 and June 27, 2013. In its deliberations, the NGT considered these two OMs to be “ultra vires” to the Environment Protection (EP) Act of 1986 and the EIA Notification of 2006, and quashed them. The developers were allowed to continue on payment of a fine. The NGT’s order prompted the MoEF&CC to issue a notification in March 2017, giving a six-month window period to project proponents for applying for an EC. The ministry has also put in place its own mechanism to identify non-compliance with EC and decide fines and supplementary actions for violators. The mechanism is in response to the NGT awarding fines to various developmental projects that were in non-compliance with EC conditions. So, instead of resolving issues jointly, for the time-being, two places have been created where non-compliance with EC will be dealt with. 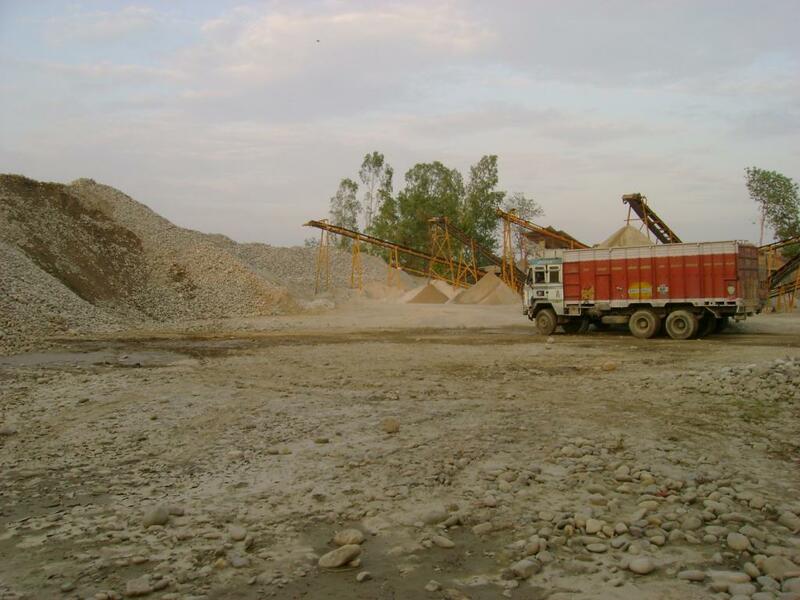 Another example of the problems, which the lack of coordination between government agencies and NGT is leading to, can be seen in the case of environmental management of sand mining. In August 2013, the NGT took a stern position on illegal sand mining. The tribunal was deliberating on a case filed by the NGT Bar Association with respect to unscientific and illegal sand mining on the banks of River Yamuna, Ganga, Chambal, Gomti and Revati. The applicants had brought to the attention of the NGT the February 2012 order of the Supreme Court in Deepak Kumar vs. State of Haryana, where the court had said that leases of minor minerals, including their renewal for an area of less than five hectares be granted by the states or union territories only after getting an EC from the environment ministry. Reiterating the SC order and taking it a step further, the NGT issued a restraint order on sand mining in all states until they obtained ECs. However, efforts to implement the order led to mayhem. A sudden stop to all small-scale mining activities that were operating without an EC led to thousands of miners rushing for ECs—the government at the state and the Central level was completely unprepared to deal with this. The upshot: illegal mining continued over the months with a semblance of legal action. In the end, the environment ministry formulated a scheme under which these clearances are granted by an authority instituted at the district level. Recent reports indicate that most of these authorities are either non-functional or clueless or have become another body to seek rent in the name of environment. Similarly, in Noida, NGT stopped the construction of buildings simply because the Uttar Pradesh (UP) government failed to demarcate an eco-sensitive zone around the Okhla Bird Sanctuary. This actually hurt homeowners, as delivery of their homes was delayed for more than a year. In the end, when the UP government did demarcate the eco-sensitive zone, it did so just on the fringes of the sanctuary, thereby maintaining the status quo. In India, where there are serious concerns regarding implementation of various environmental laws and performance of regulatory authorities for enforcement, NGT has gradually assumed the role of an institution that is perceived to be the first and last recourse for dealing with environmental matters. The idea has become so entrenched that the first reaction today of many environmental activists is to take any violations to the tribunal. While judicial activism has been a common aspect on matters of environment, but knocking on the door of the NGT for every environmental concern is problematic. First of all, it makes environmental management a matter of litigation. Essentially, it invokes a sense that if an environmental problem can be taken to courts it will be resolved, and otherwise not. This erodes trust in other crucial institutions of our democracy—the executive and the legislative bodies—with which we must simultaneously engage for exercising our fundamental right to a clean environment. Secondly, the NGT has sidelined our regulatory institutions. In the face of the NGT taking the centre stage, institutions like the pollution control boards have assumed the secondary role of merely carrying out NGT orders. The most common excuse for inaction in many of these institutions is their engagement with NGT. Lastly, perhaps the most important fallout has been an erosion of collective civil society engagement on environmental matters. Apart from major incidents of industrial violations or irregularities with big developmental activities, the NGT is essentially dealing with numerous cases filed with the sentiment of “not in my backyard” (NIMBY). In fact, many judgements of NGT are facilitating the NIMBY syndrome wherein the rich and the powerful do not want polluting activities in their own backyard, though they have been largely responsible for creating the pollution. The fundamental problem that lies with environmental management today is discord and disconnect between functioning of various institutions. There seems to be mutual distrust and acrimony between the judiciary and the executive on environmental issues. While judiciary’s dominance in environmental management cannot be the ideal, equally problematic is the dominance of the executive. For addressing environmental issues most effectively, both have to deliver their obligations through separate jurisdictions, but in cooperation and coordination with each other. In this context, the recent Rules will further complicate the relations between the judiciary and the executive. It is quite clear that the Rules have been framed to clip the wings of the judiciary and increase the role of the executive in NGT. This is neither advisable nor ideal. So what is the way ahead? First of all, the recent Rules should be repealed and status quo maintained. Secondly, NGT is a techno-judicial body and it must operate as such. It should not become a court and “exceed” its jurisdiction. Thirdly, there should be a coordination mechanism between NGT and the environment ministry where conflicting issues are discussed and resolved. Lastly, if the government believes that the judiciary is encroaching on its space on environmental issues, then it must start delivering. If the government considers that administrative authorities should have more say, it must strengthen institutions for better decision-making and improved enforcement and compliance of rules and regulations. Strict regulatory oversight and enforcement will minimise disputes and prevent matters from being taken to the NGT and superior courts in the first place. It must also design appropriate policy mechanisms, increase resources of regulatory authorities, and ensure their accountability of functioning, to avoid adhocism in processes of environmental management. Unless all these are ensured, revisions in composition of the NGT will only be seen as a response from the government to enforce its authority. In this tug of war, maybe, the executive or the judiciary will end up as winners, but what will certainly be lost is the cause of environment.